Hello my name is Monie, I am in my mid fifties and am here to learn and seek out help to deal with my health issues I have had for about 30 years. I look forward to getting to know everyone and share the journey to health. I was diagnosed with Cushings over 14 years ago and really thought it was over and done with. After seeing several doctors while starting in high school and into college, primarily to explain why my cycle had completely stopped, I was given various responses from the typical, “oh, it’s probably just stress” to “let’s just put her on birth control and it will start right back up.” And while the latter may have been true, it certainly didn’t explain the weight gain round my midsection, especially when I was eating so little while in college because I just couldn’t figure out why my pants wouldn’t fit anymore. It also didn’t explain the “buffalo hump” at the base of my neck, or why my hair seemed to be falling out. Or why my blood pressure was high all the time. Or why I had constant headaches. So only after my mom refused to accept “stress” as an answer, she turned to Dr. Google, and started looking up my symptoms. She finally convinced a doctor to test my cortisol levels, which were off the charts. Luckily, I went to college in Milwaukee, and saw Dr. Findling who immediately diagnosed me with Cushings. After dealing with this for several years, Dr. Findiling diagnosed the disease, located the tumor (left adrenal gland), had it removed, and was on my way to recovery in a matter of a few months. By the time I returned to college in the fall, after having the turmor removed over spring break, people did not even recognize me, my appearance had changed so drastically. Well, fast forward to today, and I am wondering if the one adrenal gland could have anything to do with what my husband and I have dealt with for the past 2 years. We conceived 2 children easily with no problems who were born in 2006 and 2009. When we tried to have baby #3, two years ago, something was different. We practice natural family planning, so I was very aware of my cycles. But after a surgery and terrible cold, things changed. No longer could we get pregant. I saw several different doctors who all said again, “it’s stress” or “there’s nothing wrong with you.” One even gave me a brochure on how to have a baby. Really! Anyway, I started myself on an “adrenal fatigue” diet last fall, started taking Maca root (because I read it was good for adrenal health), and we got pregnant last November after trying for over a year and a half. Unforunately, at a 13 week ultrasound, we discovered that the baby stopped growing at 9 weeks. We figured we were just a statistic, and 1 in 3 pregnancies ends in miscarriage. We did not have any testing done because we figured we were just one of the odds. We conceived again in May, only to find out at 12 weeks that our little peanut stopped growing at 11 weeks. We opted for testing this time and are awaiting the results to determine whether or not there was a chromosomal abnormality. Although I am sure it happens, to lose 2 babies, after confirming heartbeats multiple times, seeing it move around, and find out it has passed is devestating. I won’t forgive myself if this happens a third time without ruling out the role my one adrenal gland may have played in this. One doctor did test my thyroid during our efforts to get pregnant, and my RT3 was very high, especially in relation to my T3. He just put me on T3 and said I was “stressed.” I am now wondering if yes, I was stressed, but my one remaining adrenal could not handle the necessary work required to sustain a pregnancy. Or affected our efforts to even conceive. 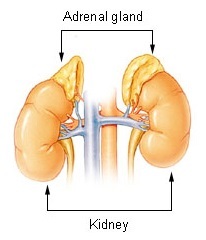 I have read (though don’t completely understand) the relationship between the RT3 and adrenal glands. I am going to return to Milwaukee to have my remaining gland tested to see if it is indeed working at an optimal level. I guess my point in joining this board is to not only share my story with Cushings, but also to see how patients have fared after the Cushings was resolved. 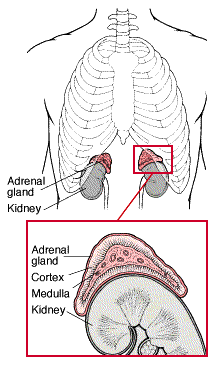 Has anyone had any long-term affects from only having one adrenal glad? Specifically as it relates to fertility? Curious to hear from others who have gone through this experience. I know there are not many of us. I can’t tell you how many times I have heard, “wow. 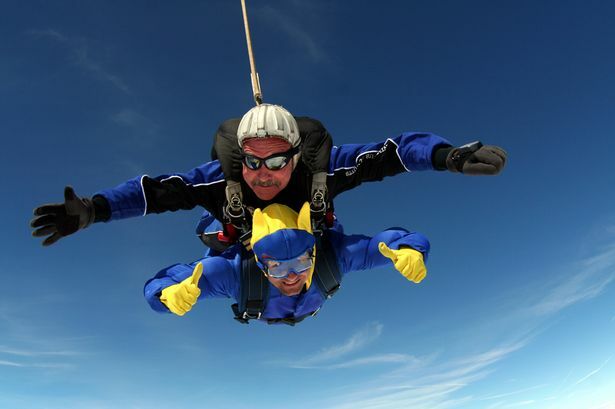 I have never met a cushings patient before” from various doctors. But I am glad to find others who have shared this experience. i have been sick going on 8 years, and i discovered i have an adrenal mass in dec of 12.
no one will do proper testing on me,and i didnt supress on the one test-so even tho i have ecery symptom even in appearance,i have been shunned by the medical community even a nationaly known hospital. i was told “everyone wants cushings” by an endo at nasville tenn’s vanderbilt..
i live life one day at a time with every 4 months having a good 6 weeks of rapid feel good time then like a pit viper it hides behind the wall and brings ne down again some days not being able to get up. i have allpied with NORD. its my only hope.